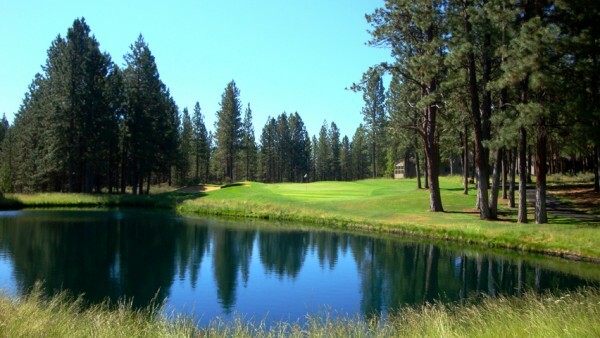 Bend Oregon has some of the best outdoor recreational activities in the world including excellent destinations for golf like Widgi Creek Golf Club. This golf club is right in the middle of some of the most picturesque scenery in the world including the Deschutes National Forest, Deschutes River and Cascade mountains that still have snow in their peaks even during the summer but since you’re a golfer and are searching for the best places to play gold in the Bend, Oregon area here’s what you can expect from playing at Widgi Creek Golf Club. This 18 hole golf course is 6,900 plus yards of pure fun for any new or experienced golfer; it was designed by Robert Muir Graves in the late 80’s and has plenty of challenging fairways and fast, rolling greens and it’s a course that can be played to par 72. Widgi Creek has been called everything from a “sleeper golf course” to “the best in Central Oregon” because, with one glance it might not seem as challenging as Pebble Beach but once you get out on the course you will find that looks can be deceiving. Widgi Creek offers over 25, grass turf, hitting stations, 13,000 square feet of putting greens; over 5,000 square feet of chipping greens and both the fairways and greens have bent grass. Tee times are always welcomed at this semi-private golf course and it’s best to book your vacation in Bend from March through the end of October because, this course is closed from October 31st through March 1st of the following year. When you finished golfing with family or friends at Widigi Creek or enjoyed spending some time in their spa, it’s time to relax and have lunch or dinner at The Grill, Widigi Creek’s top of the line eatery that’s great for grabbing a delicious lunch or dinner after a day on the course. To learn more about golfing at Widgi Creek Golf Club and Bend Oregon, or if you would like to see Widgi Creek Homes for Sale, contact Strategic Realty at (541) 595-8444.